In the span of 24 hours, the American epidemic of police/civilian violence has exploded. For those who aren't paying attention to media reports, two more innocent civilians, Alton Sterling and Philando Castile, were killed by police officers. Shortly thereafter, five innocent law enforcement officers were assassinated at a peaceful protest in Dallas. In addition, other innocents like Mark Hughes have had their lives ruined by false accusations and knee-jerk mob mentality (Mr. Hughes wasn't the only suspect, another suspect was killed by domestic drone without any due process whatsoever). Personally, I both have immediate family and close friends in the police and I am also a firm believer in the law of the land. In the mayhem, it seems everyone has forgotten that both the Constitution of the United States and the Bill of Rights are important to citizens and law enforcement alike. The Bill of Rights both protects citizens from abuses of power and gives police laws to enforce. As a wrestler and martial artist, I am a strong advocate of the Second Amendment right to self-defense. So given that we live in a amazing country where BOTH the citizenry and law enforcement should fight side-by-side for the Bill of Rights, it is sad to see them fighting each other instead. ATTENTION POLICE: There is a way to protect yourself and subdue your subjects without killing them. It's called wrestling. Learn it. I have long known that wrestling (in particular the catch-as-catch-can style with its complimentary toolkit of surgical takedowns, pins, and submissions) is the single best style of Close Quarter Combat (CQC) for law enforcement officers (LEO). 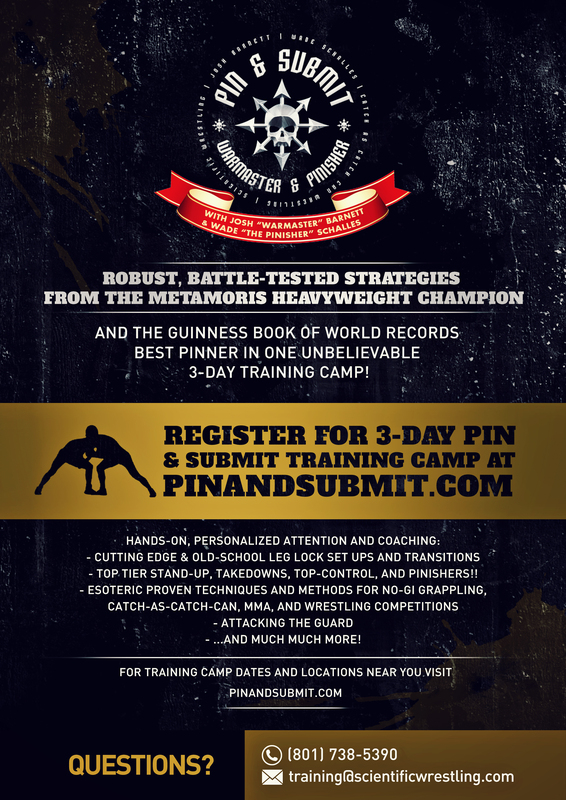 This is why I've offered a substantial discount to LEO/MIL on our hands-on Scientific Wrestling Training Camps since their inception a full decade ago. Countless MIL/LEO have attended our camps for this very reason. In my book, being a leader means taking action to make the world a better place. When our politicians, legislators, and bureaucrats fail to lead we must take that role upon ourselves. If you are a police officer, or know someone that is, please let them know that there is an alternative to the way things have been done and we are here to help.